Casey M. Bethel, an AP Physics, AP Biology and Physical Science teacher from New Manchester High in Douglasville, was named the 2017 Georgia Teacher of the Year during a surprise school visit from State School Superintendent Richard Woods. As Georgia Teacher of the Year, Mr. Bethel will serve as an advocate for public education in Georgia. Mr. Bethel planned to become a cardio-vascular surgeon. Although he excelled in all his classes, and to date holds the record for the highest exit exam score for biology majors at his undergraduate institution, his dream of becoming a doctor did not bring him satisfaction. Mr. Bethel is a part of the Georgia Intern Fellowship for Teachers (GIFT) at the Georgia Institute of Technology. This program provides a paid summer STEM (science, technology, engineering and math) internships in industry workplaces and university laboratories for K-12 science, mathematics, and technology teachers. For the past five summers, Mr. Bethel has conducted authentic biochemistry research aimed at finding cures for inherited Glaucoma and Alzheimer’s disease. Mr. Bethel credits this collaboration with broadening his instructional tools to teach concepts and techniques to high school students. 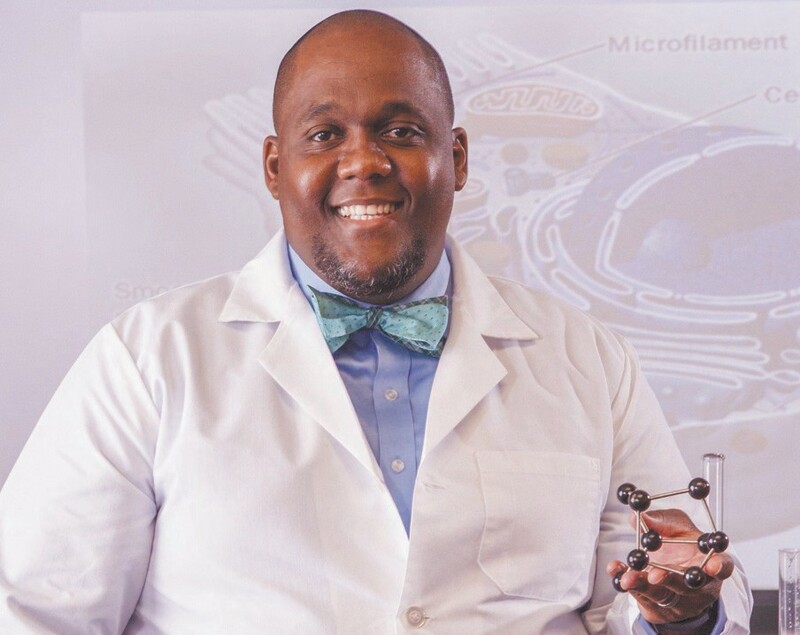 Because of his work, he was awarded the Paul A. Duke award from Georgia Tech for lessons designed and published in The Journal of Chemical Education. His classroom mantra comes from a Chinese proverb that says: “Diligence is the path up the mountain of knowledge. Hard work is the boat across the endless sea of learning.” He has reached the lives of his students, and his classroom is exciting, motivating, and inspiring, demonstrating his belief in the teaching profession. As Georgia Teacher of the Year, Mr. Bethel will represent Georgia teachers by speaking to the public about the teaching profession and possibly conducting workshops and programs for educators. He will also compete for the 2017 National Teacher of the Year.